Chocolate Peanut Butter "Milkshakes" Mama Say What?! | Mama Say What?! My love for smoothies and blended drinks is no secret to anyone in my family. I often throw smoothies together for breakfast or a mid-morning snack. Whenever my toddler hears the blender, he comes running and shouts “smoothie!” I happily share with him— especially since I generally make them with fresh fruit, yogurt, veggies and milk. This drink is healthy, but tastes more like dessert. Since embarking on a “clean eating” challenge this summer, I’m always looking for new ways to satisfy my sweet tooth, but still keep my diet as clean as possible. 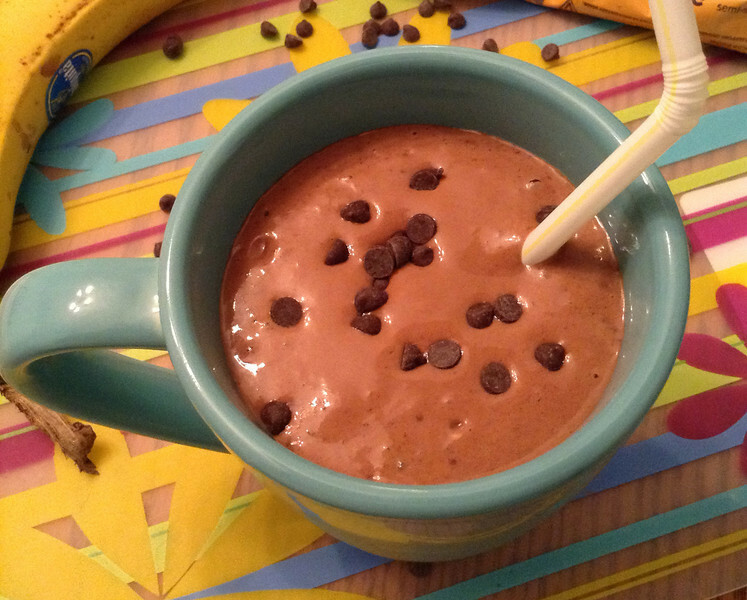 This smoothie tastes more like a milkshake and while it doesn’t have any hidden veggies, it’s packed with tons of protein and vitamins. It’s incredibly chocolatey and the measurements are very forgiving. I rarely measure anything when I’m throwing this together for a special treat. 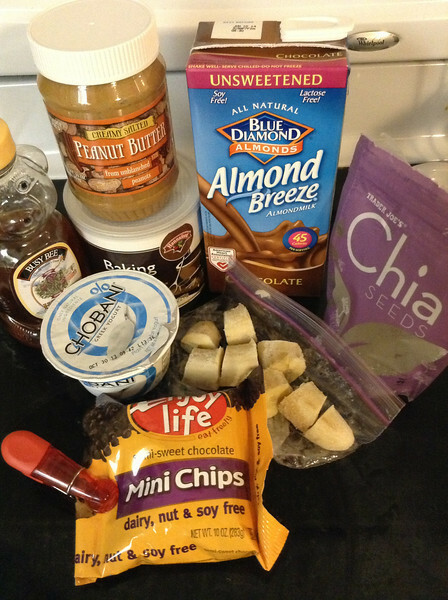 Simply combine all of the ingredients into a blender and start it up. This delicious drink only takes a few minutes to throw together, but will leave you satisfied for hours. The end result is a cold and refreshing indulgence that tastes like a Reese’s Peanut Butter Cup without the guilt. To make, simply put all of the ingredients into a blender and start it up. Added by MaryEllen M. on November 15, 2013. Pingback: Oatmeal Peanut Butter Balls Mama Say What?! | Mama Say What?! I love the sound of this smoothie. My husband loves anything peanut butter and this looks like a great breakfast treat for him. This is the first time I’ve really gone through your recipes and have found some great ones for when Little Miss starts eating more solids if she is picky.